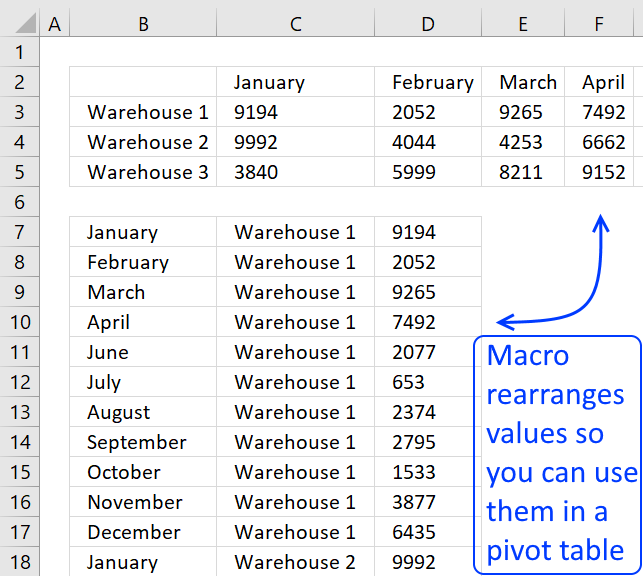 This article shows you how to refresh a pivot table automatically using a small VBA macro. 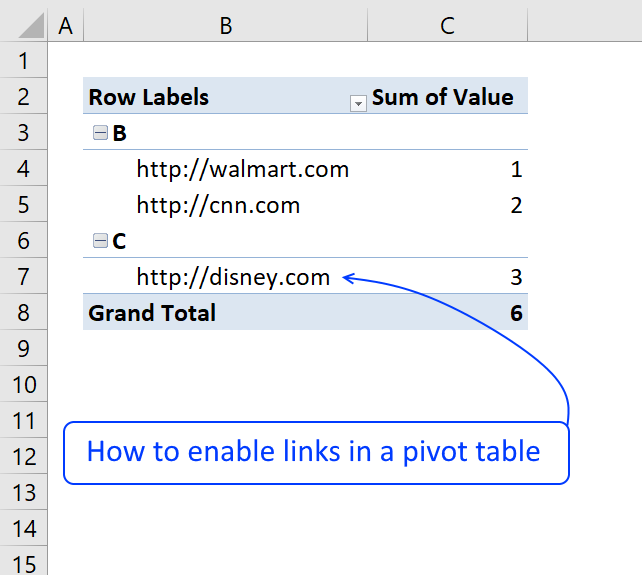 If you add or delete data in your data set the pivot is instantly refreshed. There is no need to manually refresh the pivot table or changing cell references if the data source table grows or shrinks. 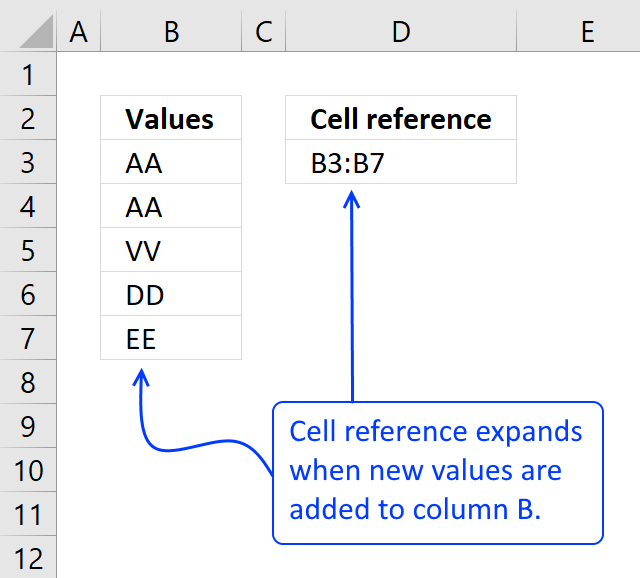 The Excel defined table uses structured cell references that adjust automatically. 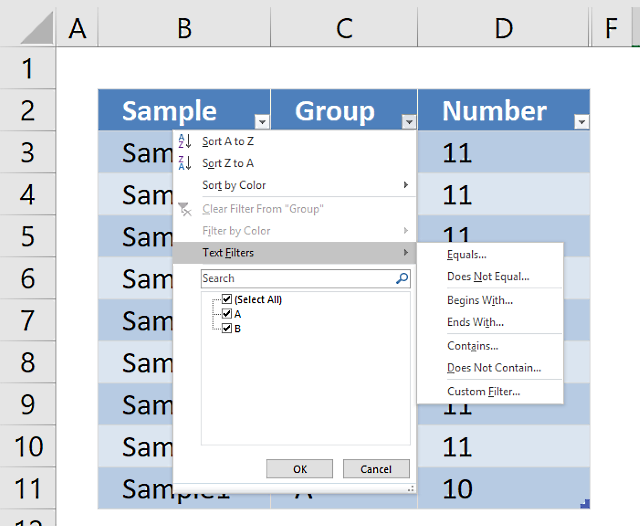 Select a cell in your data set. Click "Insert" tab on the ribbon. 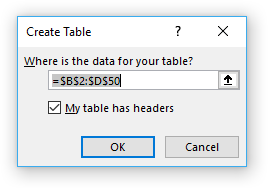 Click "My table has headers" if needed. Adding new records to the table is easy, simply type on the row right below the last record and the table will expand automatically. 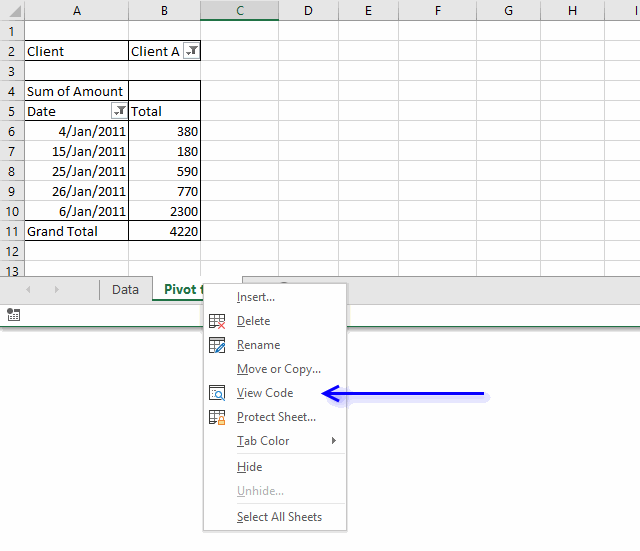 You can also right-click on a cell in the table to open a context menu, click on "Insert" and then "Table Rows Above". VBA offers a solution how to automatically refresh pivot table every time you activate "pivot table" sheet, there are other ways to solve this as well like refreshing pivot table every time a cell in data source table is edited. Right click on the sheet name where you placed the pivot table. Change sheet name and pivot table name in VBA code, you probably have a different sheet name and pivot table name. 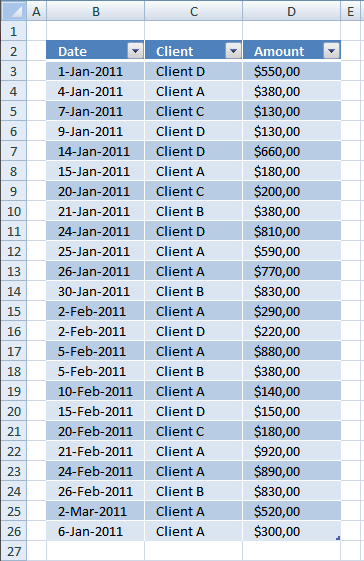 This also works in Excel 2007/2010 but it is easier to create a table. Create a new named range, named Rng. I was able to get this to work on Excel 2011 (Mac) but when I open up the same file in Excel 2010 (PC) the macros don't run. I've enabled Macros and set the security settings to run all Macros. Essentially what I have is multiple pivot tables across 6 worksheets all using the Data worksheet as the data source. 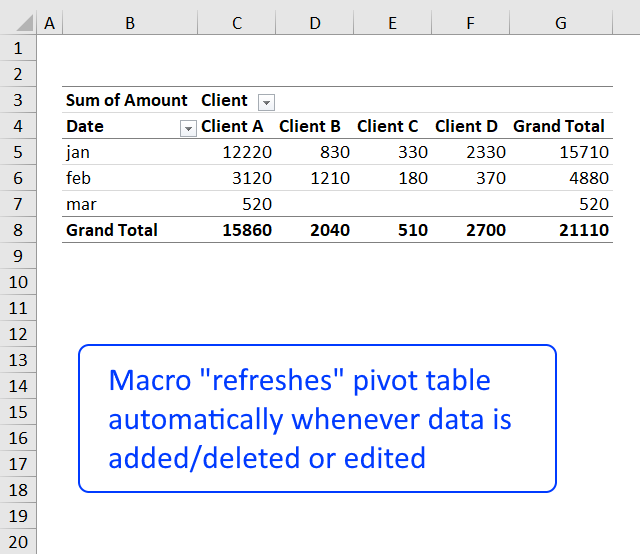 I tried to update the Macro to use the code you mention in the post "https://www.get-digital-help.com/2011/06/13/auto-refresh-a-pivot-table-in-excel/". Using this the macros runs but I get a run-time error '1004': Application-defined or object defined error. Any thoughts on what I can do in Excel 2010 to get my macro to run? I'm not sure that I'm in the right location for this, and I'm working handicapped with v2003 and I don;t know vba. I have an xml file thats exported from a third party tool. I import that into excel and add a column to the far left. In this column I do a match fucntion. This function matches specific data in one column of the xml data to "sheet2" which containes a list of codes that I care about. 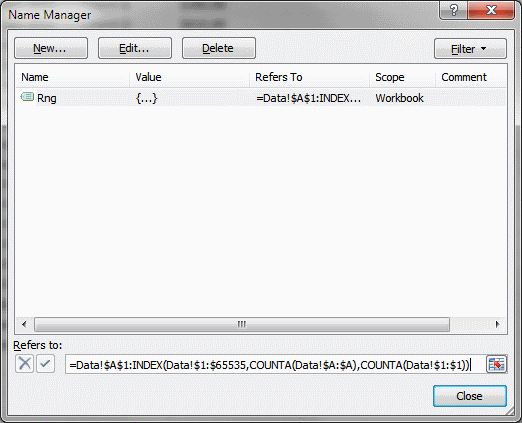 Then I create a pivot table that uses the match (1-30), ingnores blanks and NAs to filter my pivot. What gets displayed is all the information I care about. Works great. Problem is I'm doing this on a weekly basis and realize there must be a better way to link to the xml, still make my match to my codes and create a piviot table. Question is how to acheive this. No luck treating the xml as a database. Excel is not seeing it. Please advise and thanks for the expertise. Is it possible in excel 2003 to import xml using Get external data, from other sources? If it is then you should be able to refresh external data source if the xml file name is the same. There is a much much easier way to keep the pivot table dynamic guys!! Simply reference only the top row of your data. Leave out the column references. Notice we are completeley leaving the numbers out...works like magic! Yes, it works but only when the data begins on row 1. 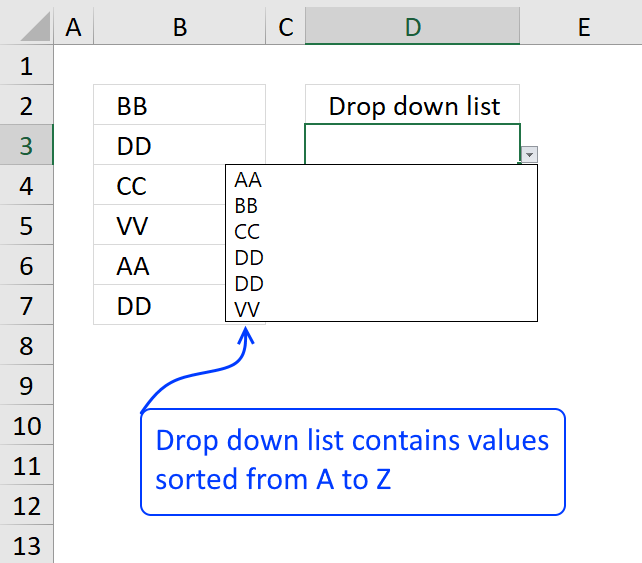 I have not tried this in excel 2003 but if it works you can skip the "named range" part. You still have to right click on your pivot table and select "refresh" to refresh pivot table. Thank you so much you are a lifesaver! i used "OFFSET" instead. much easier and dynamic! How did you get the pivot table to update automatically? 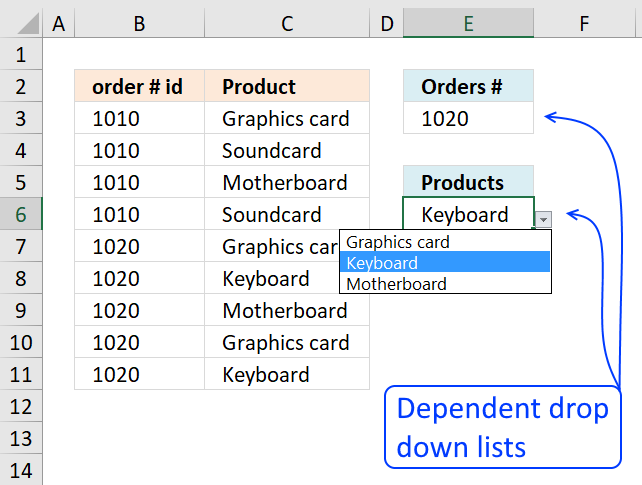 How can it be easier than an excel defined table? example i have 3 sheet student's attendance. Can u give me what's the tutorial to make that? I have a template that I have created to process phone bills. There are may lines of GL coding for particular individuals. The amounts are different every month. I have created a pivot table in the template (both data and pivot table under one tab). I have created a refresh button to refresh the PT. It works in my original tab but when I copy to create a new tab to process a new invoice it does not refresh on the copy. My pivot table is still connected to the original tab. When I enter data in my original tab and refresh on my copy it moves. 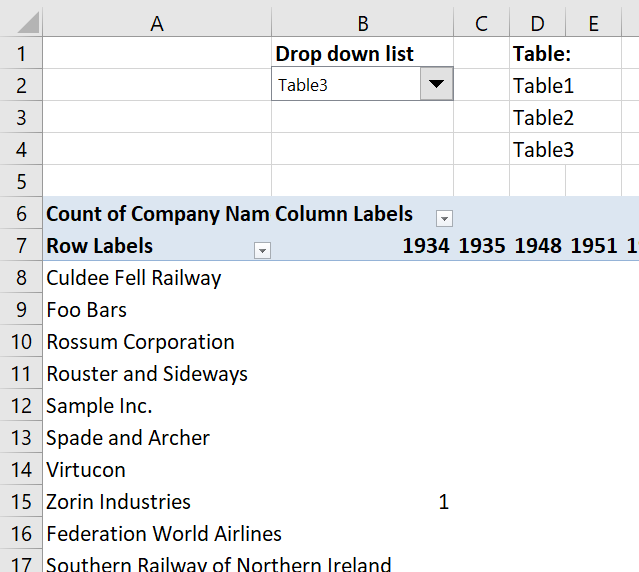 How do I keep the connection between my source data and pivot table in the copy together and not the original tab? Dear sir I have copied the vba code here and it done the magic . Thank u . Please I am hoping you'll be able to assist me. I designed a template whose data is driven by a Pivot table source. 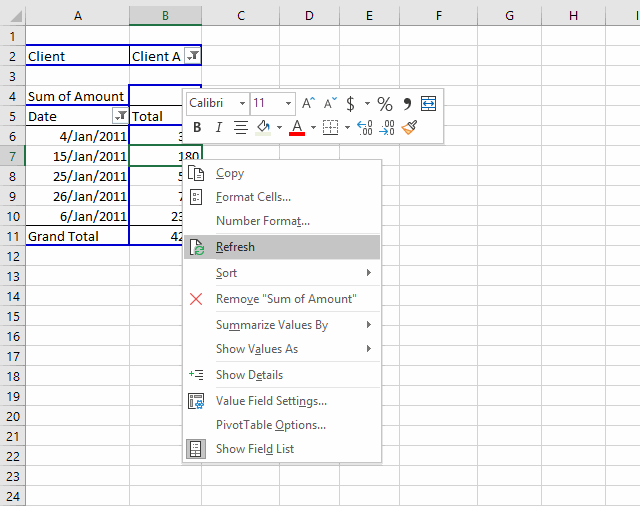 The pivot Table is in turn driven by a source data in the same workbook. I used "IF" formula to pull the data from the pivot table(for example "=if('Sheet1'!B17="","",'Sheet1'!B17). the challenge is that source data are dynamic on a month to month basis and each time I update the the pivot table based on the source data. The 'IF' formula is static and does not change with the template row heading. Please what can i do to make the template(&'IF' formula) row heading to be dynamic with the pivot table when refreshed. Just to note that I am not that too vb savvy.